Context/Scope: Tanzania is the largest country in East Africa by geography and by population (approx 42m people, with a growth rate of 2.8%). It is a member of the East African Community whose headquarters is in Arusha in Tanzania. The largest population, however, is in Dar es Salaam, which is the commercial capital. Tanzania is well endowed agriculturally and has vast mineral resources in the western part of the country, where the largest urban centre is Mwanza. Serengeti Breweries Ltd (SBL) operates exclusively in Tanzania and is the 2nd largest beer company with a market share of 27%. It is an integrated demand/supply business with 3 operational breweries in Dar and Mwanza, and a third one in Moshi, which is situated in the northern part of the country near the Kenyan border. SBL’s flagship brand is Premium Serengeti lager, which accounts for 50% of SBL sales volumes. The other beer brands are Tusker, Tusker Malt Larger and Pilsner. This role will interface with all the departmental heads, cross-functional BPM and BSC teams across the Group Companies, CARM leads within the business, external auditors and some suppliers. 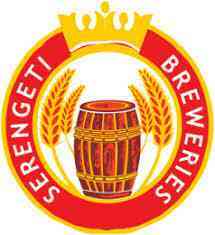 Serengeti Breweries (SBL) operates in a competitive environment and in a vast geography. The main player in the beer industry is Tanzania Breweries Ltd. (TBL), a subsidiary of SABMiller, who until recently were a third-party manufacturer of EABL brands Tusker, Pilsner and Guinness. Because of the cessation of the agreement between TBL and EABL, there is heightened competitive activity in that market. Inflation rates remain high in Tanzania (7.5% expected in F11) and average income per capita is less than 1 USD per day. The GDP growth is estimated at 6.4% and is expected to grow to 7.1% as investment, trade and tourism pick up. There is growing consumer affluence and consumerism, giving rise to greater opportunities in our product categories. Engage with Leadership in business to ensure Decisions are made with a full understanding of the financial implications. Own the forecasting and reporting month end processes. Ensure monthly financial processes are managed and performed on time in full to provide timely management information across the business making use of insightful gap/variance analysis. Hold BPM review meetings and preparation of various Statutory and Investor reports. Preparation and Management of Annual Operating Plan end to end including strategy formulation and delivery management. Coordinate/Consolidate submissions of market O&R files working with cross functional teams to challenge and build assumptions including identifying opportunities to improve Operating Profit, Working Capital and Cash flow. Ad-hoc Support to MD, FD & Supply director for reports and analysis including SBL profitability, Competition, Market Share & depletions. Proven ability to persuade, influence, build credibility, work autonomously and engage cross the functionally. Embraces change and take ownership for driving initiatives in own area. Ability to go extra miles when needed to deliver on plans. Inability to model financial implications of various scenarios required for decision making on a timely basis. Inability to engage fully and influence the Sales, Marketing and Innovation team and gain their alignment on Measurement and Evaluation.